Network link to actual list of Pict Earth missions. 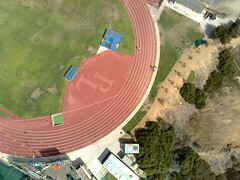 PictEarthUSA uses Google Earth Back at the beginning of the year, I wrote about a video someone posted showing a guy flying a remote controlled plane (Unmanned Aerial Vehicle or UAV) and used a digital camera to take aerial photos and show them in Google Earth. The guy who created it is David Riallant, and his company Pict'Earth is located in France. He has now expanded his operation and has a new office in the USA, which is being run by Jeffery Johnson and Stewart Long. 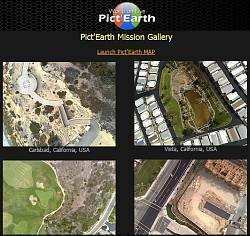 They have a new web site called PictEarthUSA.com. 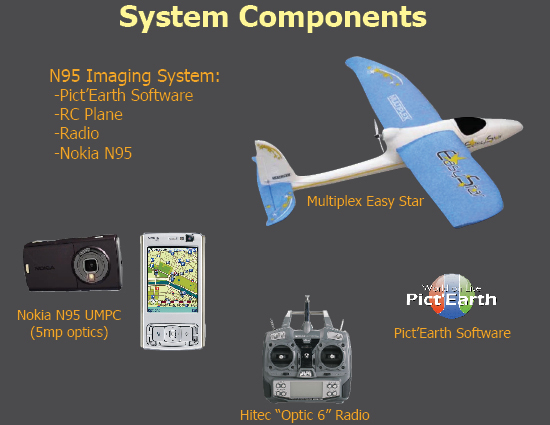 The new company has a system available which uses a basic remote controlled plane, Pict'Earth software, and a Nokia N95 as both the camera system and wireless broadband communicator. 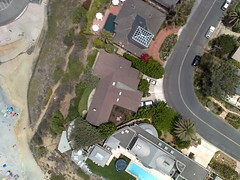 They offer both live and professional aerial image processing services. Not ony that, but they have recruited the efforts of the well-known Google Earth innovator Valery Hrosunov in Perm, Russia to develop the software for the image processing and display in GE. Create your personal Google Earth: Make the Nokia N95 FLY! 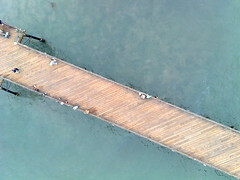 Your Nokia N95 can bring the solution to get a high quality bird’s eye view of the area you prefer. Pict’Earth is a combination of advanced image acquisition components : lightweight, easy to use UAV, GPS, high resolution sensor, live communication and Pict’Earth software. Live video and GPS data are streamed, processed and displayed in real time, providing a unique opportunity to update your area of interest with fresh and sharp ultra-high resolution images. Now featuring the Nokia N95, Pict’Earth offers a low-cost, compact and integrated technical solution for the acquisition of ultra-high resolution aerial imagery. Take Pict’Earth anywhere with you as it fits in your car trunk and is ready to use in less than 10 minutes. Take full advantage of Google Earth’s navigation functionalities and include your own sharp and up to date images to meet your professionnal and recreational needs. Pict-Earth Live processing software displays updated images in real time in Google Earth but also gives you the opportunity to stream this update to any remote authorized Google Earth user. Advanced surveys often require multiple field trips to capture, process, share and deliver information. Now I do not know how this will be related to laws on privacy and stuff, but it sure does generate some quality results! Great initiative and for a lot of professions (real estate, corporate, construction, residential, civic, emergency/security monitoring, infrastructure and planning, golfcourses etc), this might be a very welcome solution to putting things, literally, in perspective. The next step in Open Geodata ? Projects like OpenStreetMap have proved that it is possible to replicate professional ground survey using low cost consumer grade GPS to create vector data sets that have the potential to complete with commercial datasets. Today I came across a website which describes a technology that could do the same for aerial imagery. Pict’Earth describe combining low cost devices which many of us already have to develop a very low cost real time aerial surveillance platform. Using a Nokia N95, Imagery and positional information is captured and sent to the ground live during flight on a low cost model aircraft and displayed in Google Earth in near real-time. 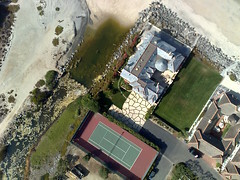 This imagery can be shared via the web with any internet connected google earth client, anywhere in the world. Alternatively the same information can be post-processed to produce geo-referenced photo mosaics. This is just amazing !! Ok so its not orthophotography, but then for most applications that’s not needed, key other than some good software, is the use of the N95, a 5 megapixel camera, a commuincation device and a GPS is a small cheap package - and you thought it was a phone ! Forget Windows 7 ? what about, Windows 3.1 on a Nokia N95 ?